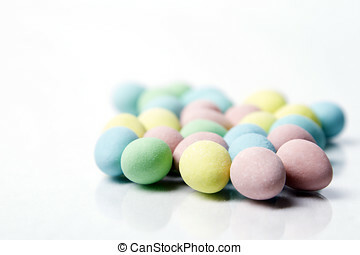 Easter candy. 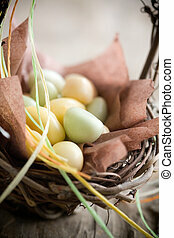 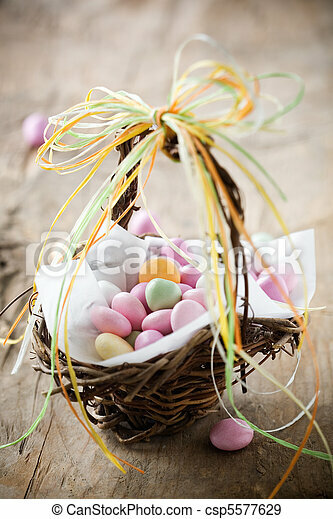 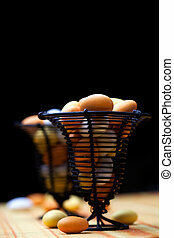 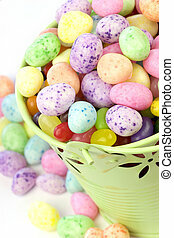 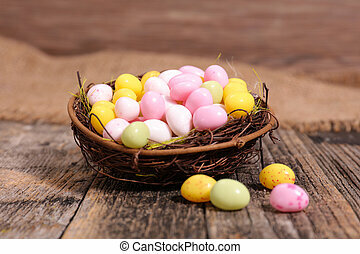 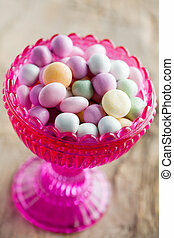 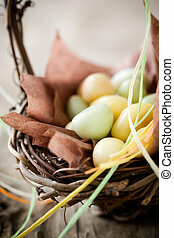 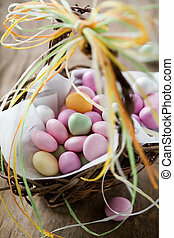 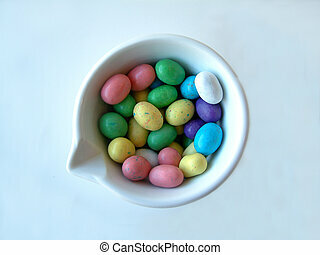 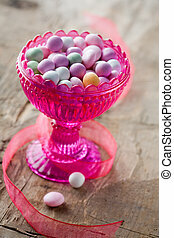 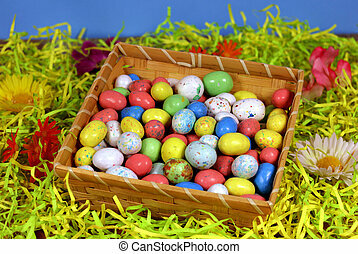 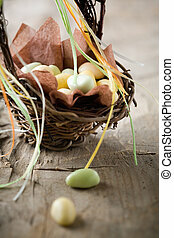 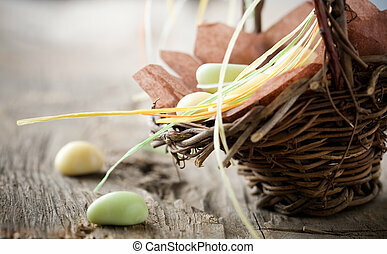 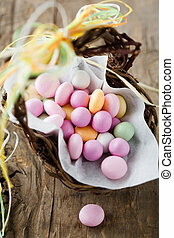 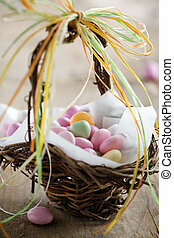 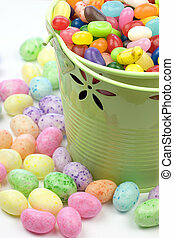 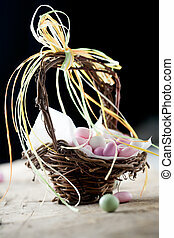 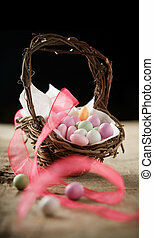 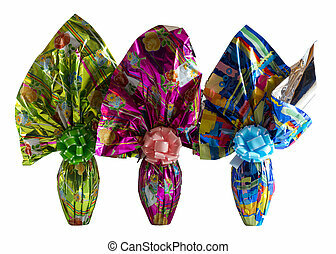 Colorful easter candy in brown basket with ribbon. 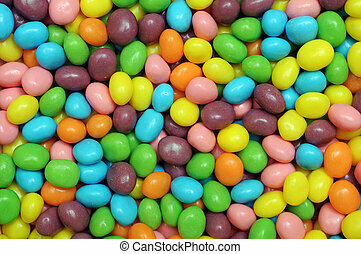 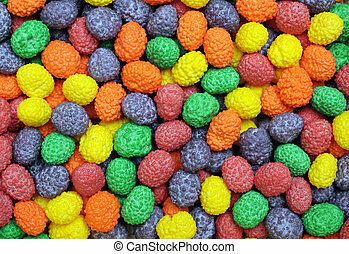 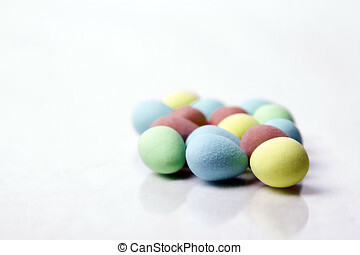 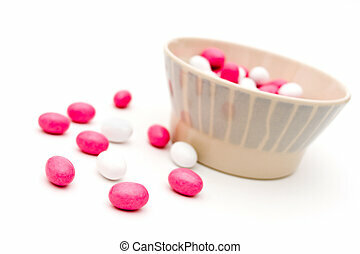 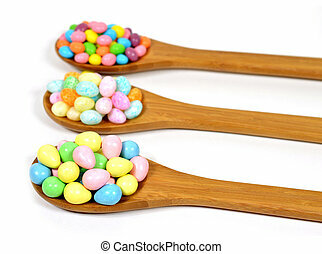 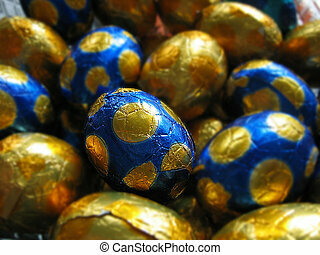 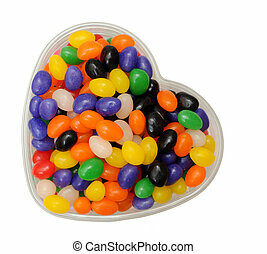 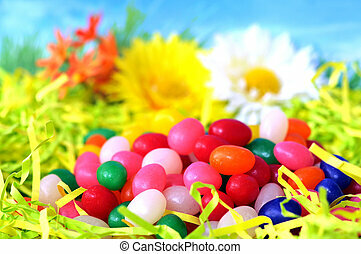 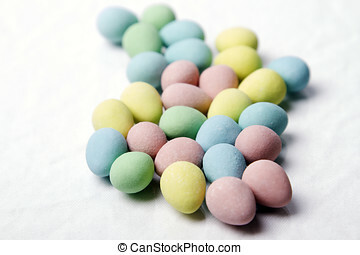 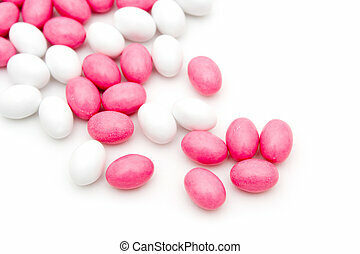 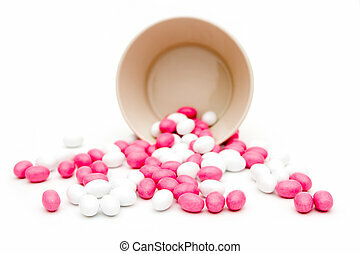 Bunch of colourful easter candy.